Hypnosis is a perfectly natural state of mind and body, in which complete relaxation allows suggestions to be embedded deep in your subconscious mind. It also gives you access to suppressed memories and emotions, which although dormant may still be troubling you. The state of hypnosis is easy to achieve, and almost everyone is susceptible to hypnotic induction. What really matters is how that hypnotic state is used. Is it used for undignified entertainment on the stage? Or is it used for your positive benefit in hypnotherapy? Hypnosis is a deep state of relaxation. If you’ve tried meditation or yoga, you may have experienced something like it, as these can induce a mild hypnosis. Hypnotherapy is the process that takes you into this relaxed state and combines it with therapy to help you let go of negative thoughts and feelings, and replace them with positive ones. There are two types of hypnotherapy: interactive, where the client and therapist maintain a continual dialogue; and direct suggestion, where the therapist works from a script for a specific aim such as weight loss or giving up smoking. Interactive hypnotherapy tends to have faster, more dramatic results. The therapist uses a form of words that encourages the mind to relax, giving you access to your subconscious and allowing you to suggest things to it. But the key point is that it is you who allows your mind to go into this state; a hypnotherapist can neither induce it nor keep you in a state of hypnosis against your will. Going into hypnosis relies on your interest and willingness to be guided into this different state of consciousness. Many people find hypnotherapy helps them get on top of one particular aspect of their lives, such as improving their confidence and self-esteem; feeling free from anxiety and panic attacks; tackling a specific challenge such as public speaking, an interview, or a driving test; achieving long-term goals such as losing weight, stopping smoking or nail-biting; beating a fear; or simply moving on from not believing they can succeed. It is basically a form of life coaching. Will I have to relive traumatic events from my past? Not necessarily, but if you feel there’s a time or event that affects how you you are now, it can be helpful to revisit it. You can decide this with your therapist’s help. For example, you may go back to your first day of school, when you may have felt abandoned, rejected, frightened and insecure after being left there by a parent you implored not to leave you. Or maybe you’ll go back to when you were eleven years old and overheard your parent’s friend comparing you unfavourably with a sibling. Hypnotherapy can give you surprisingly immediate links with past and present personal circumstances. Constructively and positively, you discover that it was as painful and traumatic for your parents to leave you on that first day at school as it was for you. It did not mean they were abandoning you; they still loved you in the same way. The eleven-year-old ugly duckling can meet her beautiful and successful swan. She will be amazed and delighted to discover her. 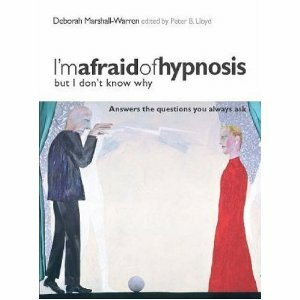 No – hypnotherapy is a process of negotiation and persuasion. You are in control each and every step of the way. You are very aware of everything both you and your therapist say and you will remember everything said. You will not do anything, or act in any way, that is contrary to what you would do in full conscious awareness. It is very different from stage hypnosis,where the hypnotist embeds in the subconscious a command that causes people to act differently and not to remember what they did. Interactive hypnotherapy can achieve results within three to five sessions. Each session lasts between an hour and a hour-and-a-half. The average number of sessions is three. How do I go about choosing a hypnotherapist? If possible, get recommendations from your doctor, a complementary practitioner or a friend. Always check a therapist’s qualifications and affiliations with professional organisations. Arrange a consultation to discuss your needs with them, and use common sense. If in doubt, ask for further information and justification. And bear in mind that hypnotherapeutic success is impossible to guarantee. It is in some areas — it depends on the decision made by your local NHS trust. smoking cessation classes may well be offered. Call your local health authority for more information. Interactive hypnotherapy is a very nurturing process of negotiation and persuasion with lots of lasting, positive effects. You should find that your self-esteem and self-confidence are boosted, whatever areas of your life you’re working on. Just think about what you want to achieve and keep an open mind. Does it work well with other therapies? Hypnotherapy can work very well alongside counselling and cognitive behavioural therapy (CBT), as it can help to remove blocks that can hinder these more conventional forms of therapy. Consultation fees vary around the country and you will usually pay more in London than elsewhere in the country. Prices will also vary according to the experience of the therapist and whether or not it os fast-track therapy. The top-of-the-range prices might seem a little bit expensive, but please bear in mind that this is a fast-track form of therapy that requires far fewer sessions than more conventional methods. Isn’t it better to have three expensive sessions than twenty sessions at half the price? Please read through the other questions in this Hypnotherapy FAQ so you may make a fully informed decison on your therapy. When you first meet a hypnotherapist, ask the following questions to help put your mind at ease. Where and with which organisation or teacher did you train? How long have you been practising as a hypnotherapist? How many sessions will it take and how long are they? Does this involve new-age mumbo-jumbo? No, not at all. Interactive hypnotherapy is a practical method that is geared to achieve specific results quickly. The majority of the clients at Whole-Being Hypnotherapy are busy professionals who really don’t the have time for mumbo-jumbo. Will I go back to a previous life? Whole-Being Interactive Hypnotherapy works in conjunction with your personal belief system. Everything that is experienced in a session will be harmonious with your personal ecology. In this sense interactive hypnotherapy does not explicitely ‘target’ past life scenarios. 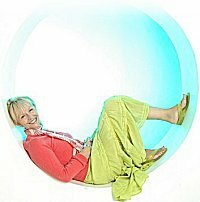 There are specialist ‘Past Life Regression’ therapists who do. Occasionally, although rarely, a person may spring-board into a possibly past life scenario that provides information and clarity pertinent to their life time in the here and now. The focus for your session will be in this present life time. The regression is expressed in these terms ” Sub conscious, may I ask respectfully, for how long have you, as the client experienced the problem, expressed in your vocabulary, exactly as you described it? “. In the event that your subconscious mind comes up with events that seem to belong to a previous life’, then your personal experience and understanding is key as to whether you reconcile this information at face value, or as to whether you choose to reconcile the events as purely symbolic. The therapist’s role is to enable you to be ‘enrichened’ and ‘liberated’ as you gain a sense of clarity and understanding about this emotional information. Then you can move forward, stronger and empowered in your life. That’s all. Whole-Being Interactive Hypnotherapy is not about ‘past-life tourism’. Is there a risk that the therapist will plant false memories? No. This is impossible with the particular techniques of Whole-Being Hypnotherapy. The therapist will never tell you what has happened in your life, nor will she use leading questions to steer your in certain directions. The therapist helps you open the door into your inner mind. Inside, you will find whatever your inner mind wants to give you. You do not need to tell therapist what memories come up for you. You are welcome to share what comes up, and that will be heard in complete confidence. But, if you prefer, you can keep the memories to yourself. The therapeutic method involves gently guiding you in dealing with the memories, whatever they might be. How this is done may become clearer if you read the extended examples of dialogue from real therapy sessions in the book, I’m Afraid of Hypnosis but I Don’t Know Why. Will I have to divulge all my personal secrets? No. If you want to volunteer information, then that’s fine – and it will be treated in absolute confidence. But Whole-Being Hypnotherapy does not require you to divulge anything that you want to keep to yourself. You are totally in control of the whole session, from beginning to end. This is built into the structure of the method. You are aware of what you are saying at the time, and you will remember what you have said afterwards. The therapist does not need to know your personal secrets and will not seek to get them out of you. Only you need to know them. Whole-Being Hypnotherapy is about empowering you to gain insights into your own inner mind, and giving you guidance to use those insights for your positive benefit. Can hypnotherapy help in the office? Yes, hypnotherapy can really help in the pressurised working life of the modern office. Imagine… you have a work CV that you conscientiously keep bang up-to-date. You add each and every new role, responsibility and acheivment in your working life. However, your emotional CV can get stuck way back when, and you can seem to be moving forward into your successful future looking through a rear view mirror of the past, be it past fears, failures, or insecurities. Interactive hypnotherapy can support you in accessing key situations, circumstances, and the emotions surrounding the circumstances when your emotional CV got stuck. Consider the disparity in the case of an Executive manager who bangs his or her fists on the boardroom table when s/he wants something done – like a four year old screaming “want it now”. What is that all about? At first, it might seem surprising that the executive big-shot is running infant experiential mindware in his/her head, but … isn’t executive truth sometimes stranger than fiction? Perhaps a boardroom colleague blushes when relaying the weekly briefing, or stutters, or panics, suffering anxiety inwardly when under scrutiny. What is that all about really? Imagine the relief this individual experiences when at last they can pass the verbal bat to the next player on the team? Another senior manager may curiously be regularly and reliably unavailable to attend presentations and key meetings, and perhaps due to his level of seniority only a few get to wonder why? Professionally he may be sick in the stomach at the thought of public speaking – a plausible truth for one terrified of being found out. Many successful people are chronically afraid of not being good enough; not worthy enough; not deserving enough; not bright enough; – terrified of being discovered to be a fake. And yet, you would never believe it, as this member of the talent team hides these personal realities very well. You would never believe that the over-achiever at the Boardroom table experiences a sense of fear of being found to be inadequate. The outer CV may be impressively solid, while the interior self-assessment might be crumbling. Interactive hypnotherapy can effectively support you and champion you… and build your foundations from inner strength. Thank you for going through this series of Hypnotherapy FAQ.